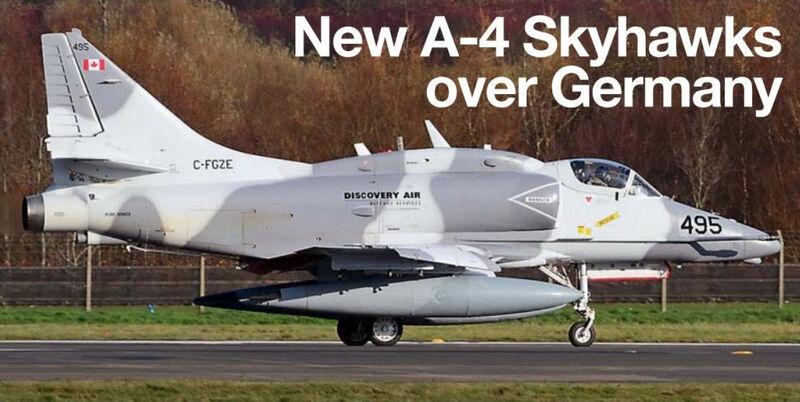 The first two Discovery Air Defence Services A-4N Skyhawks for the new German Armed Forces contract passed through Glasgow-Prestwick Airport, Scotland, en route to Wittmunhafen. 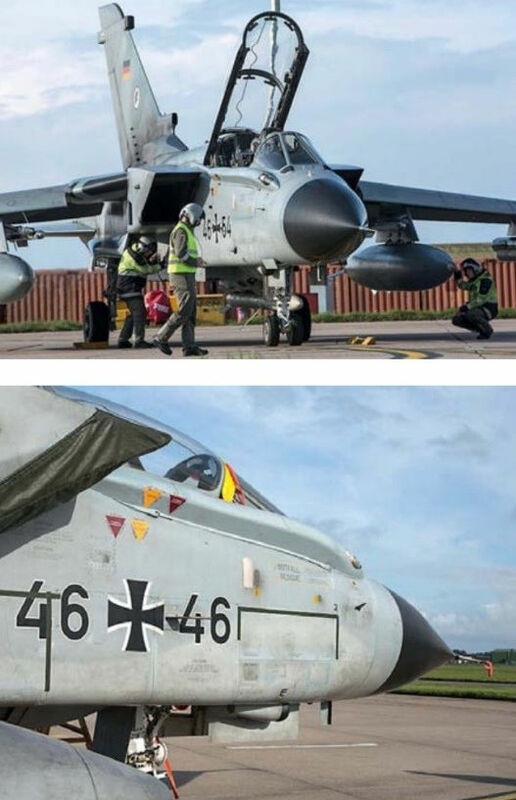 The aircraft, C-FGZD and C-FGZE, arrived at Prestwick on October 8, 2014 and left two days later for Germany. Seen departing Prestwick on October 10 is C-FGZE. US Air Force F-16C 88-0460 ‘HL' from the 4th Fighter Squadron at Hill AFB, Utah, landing at Moron Air Base, Spain, on October 23, 2014. 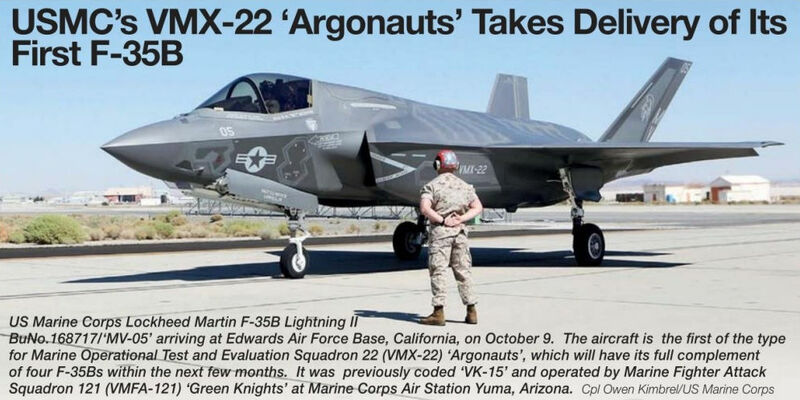 The aircraft was one of 12 F-16Cs from the unit passing through while deploying to the Middle East. Belgian Defence Air Component F-16AM FA-130 taxies in at Kleine Brogel Air Base after returning from Afghanistan on October 3, 2014. Royal Canadian Air Force CF-18 Hornet 188751 from 409 Squadron taxies out for an Operation Impact mission at an unspecified air base in Kuwait on November 9, 2014. 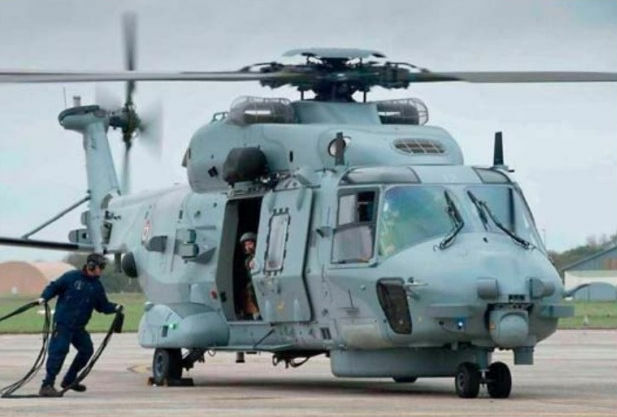 The 12th NH90 Caiman for France’s Aeronautique Navale (Naval Aviation), No 12 (c/n 1300, ex F-ZWCF), arriving on October 23, 2014 at Lanveoc-Poulmi at the end of its delivery flight. The helicopter was flown in by a crew from the Centre de’Experimentations Pratiques de /’Aeronautique (CEPA, Practical Aerospace Experimental Centre) to join Flottille 33F. This marks the halfway stage in Caiman deliveries to the French Navy, which has ordered 24, the last of which is due in 2019. 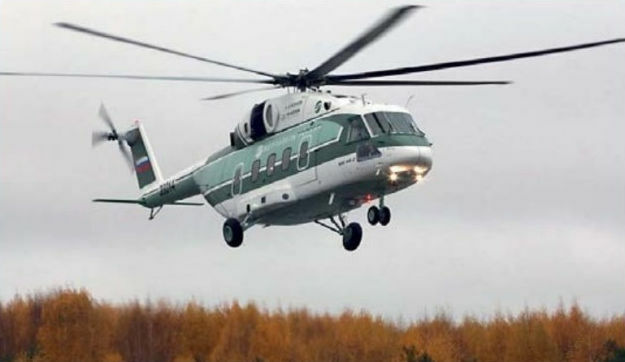 The fourth Mi-38 during its first test flight at Kazan. 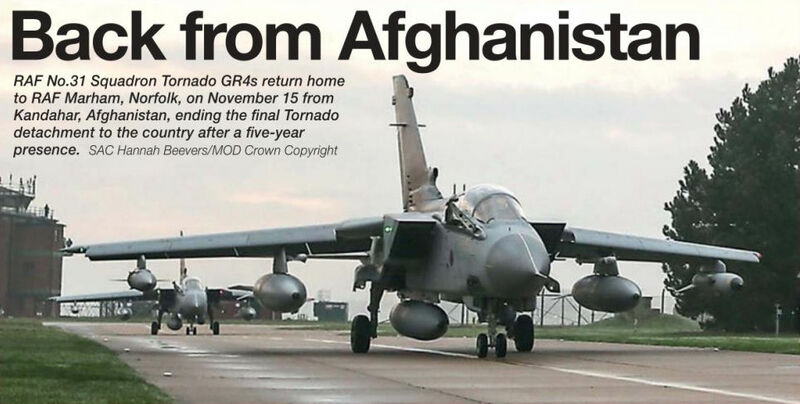 Joint Warrior provides a valuable multi-national opportunity for the RAF’s Typhoon units. 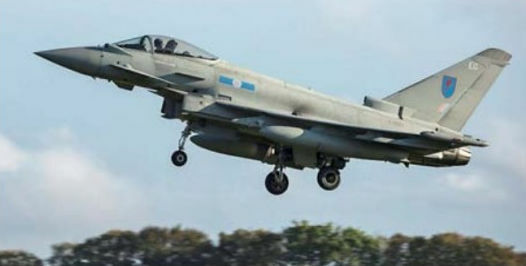 Royal Air Force No.41 (Reserve) Squadron Typhoon FGR4 ZJ946 ‘EB-A’ flying at low level in California on October 23, 2014 during the unit’s Exercise High Rider 14-03 deployment. Pakistan Air Force JF-17 Thunder 10-115 on approach to CAC’s home base at Chegdu-Huangtianba carrying the new CM-400AKG air-to-surface missile. Other UK assets included 100 Squadron Hawks from Leeming, and this Puma HC1 from Benson. Azerbaijan Government Boeing 767-32LER 4K-AI01 (c/n 40342) arrives at a very murky Budapest Airport on November 11, 2014 bringing in Azeri Prime Minister Olham Aliyev for a visit to Hungary. 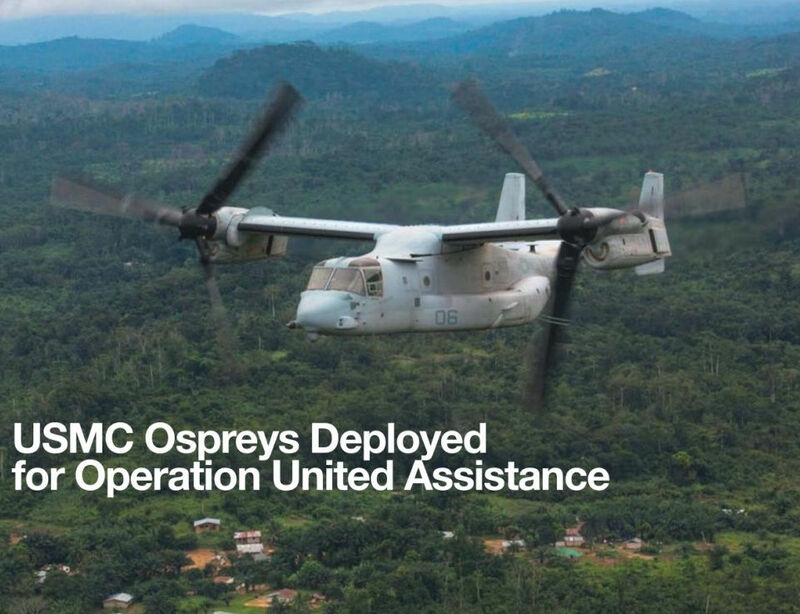 US Marine Corps Bell-Boeing MV-22B Osprey BuNo 168226/‘EH-06’ from Marine Medium Tiltrotor Squadron 264 ‘Black Knights’, operating with the Special Marine Air-Ground Task Force-Crisis Response Africa detachment at Moron, Spain, flies over Liberia on October 13, 2014 to conduct surveys as part of Operation United Assistance, the US effort to respond to and contain the outbreak of the Ebola virus in West Africa. 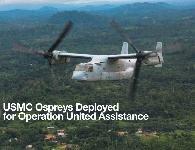 Four MV-22Bs and two KC-130Js from SPMAGTF-CR deployed to Monrovia, Liberia, on April 9 to support the mission. 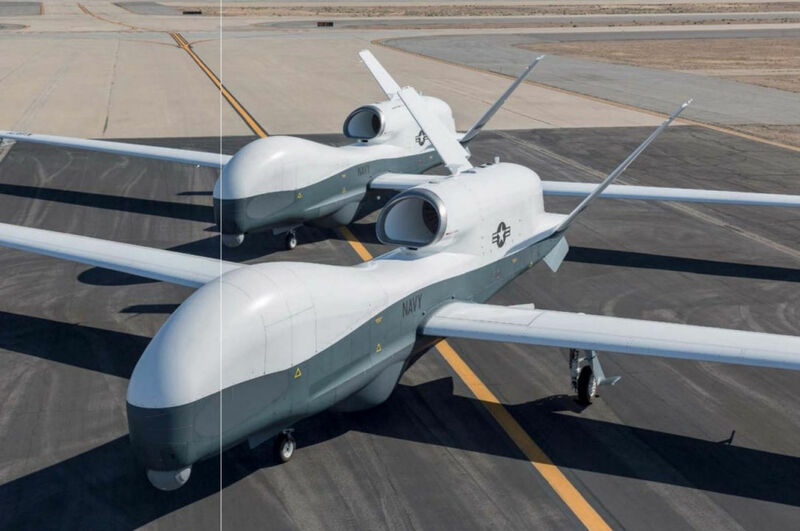 The MQ-4C Triton will enter service via an EOC in 2017. 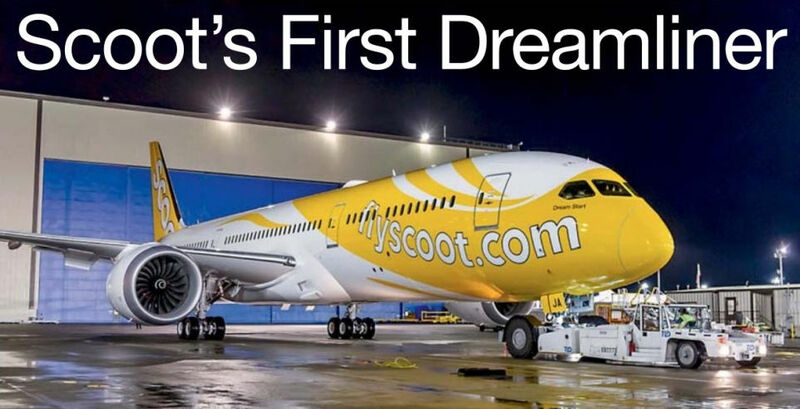 Scoot will be the first low-cost carrier to operate the ‘Dash Nine’ Dreamliner. 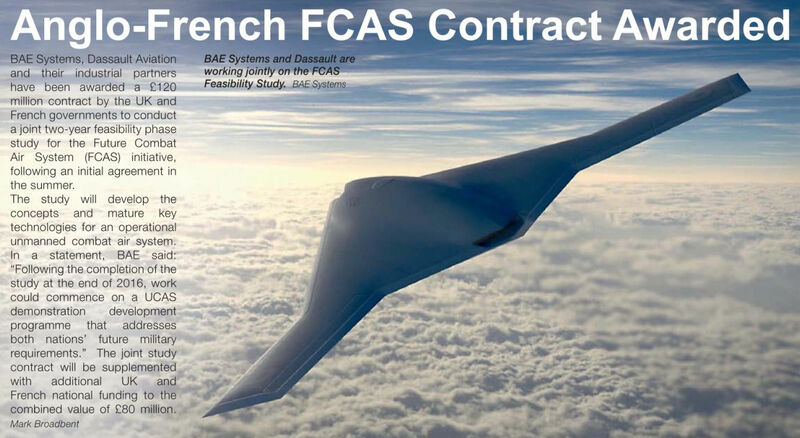 BAE Systems and Dassault are working jointly on the FCAS Feasibility Study. Royal Air Force Airbus A400M Atlas, ZM400 (c/n 015), on a very wet ramp at RAF Brize Norton, Oxfordshire, shortly after arrival on delivery from Seville, Spain, on the afternoon of November 17, 2014. 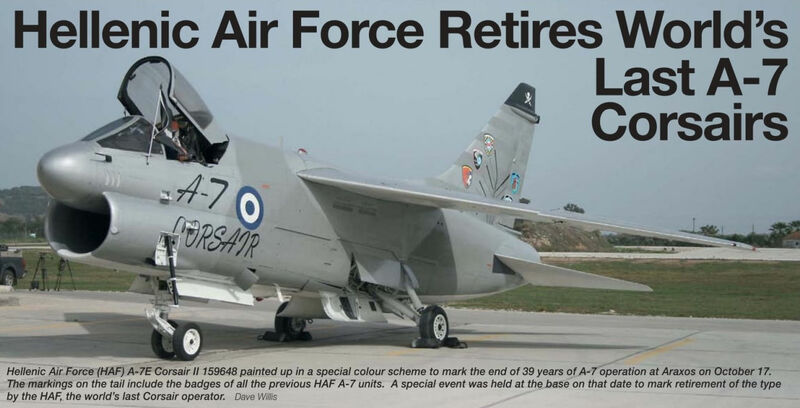 The aircraft is the first of 22 on order for the RAF. 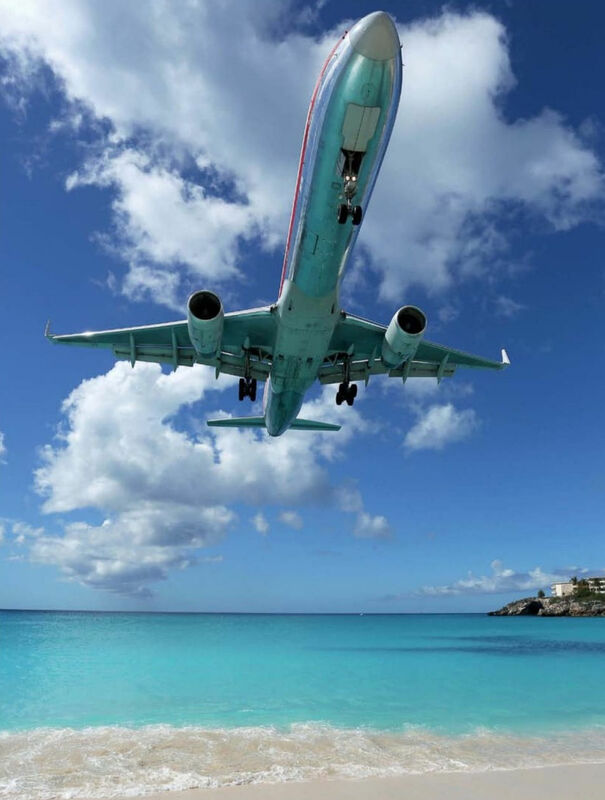 St Maarten in the Caribbean is one of the thin long-haul routes that US majors feel 757s are well suited to. Former US Air Force C-27J Spartan 10-27023 (c/n 4172), now wearing US Coast Guard titles on the rear fuselage, at Davis-Monthan Air Force Base, Arizona, prior to departure on November 13, 2014. 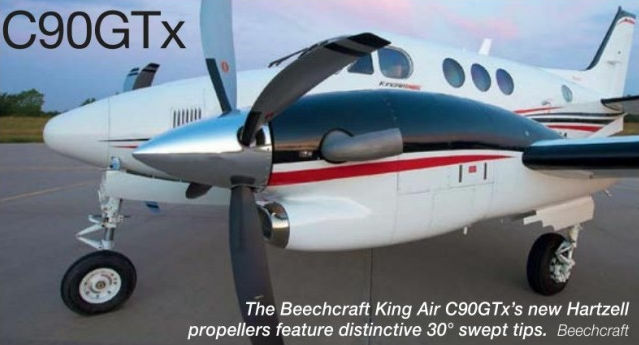 The Beechcraft King Air C90GTx's new Hartzell propellers feature distinctive 30 deg. swept tips. The first Royal Air Force of Oman (RAFO) C295MPA maritime patrol aircraft, ‘118' (c/n S-118), test flying from Seville-San Pablo Airport, Spain, on October 23, 2014 after being fully painted, having previously flown only in primer. 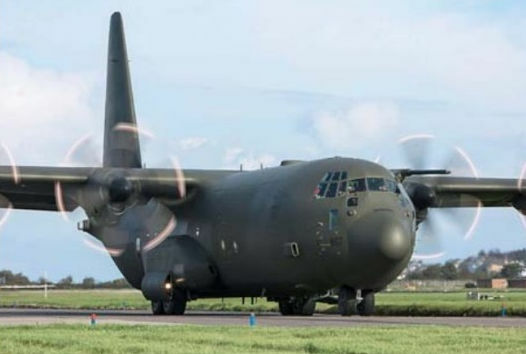 The RAFO has ordered eight C295s, of which three will be in MPA configuration. 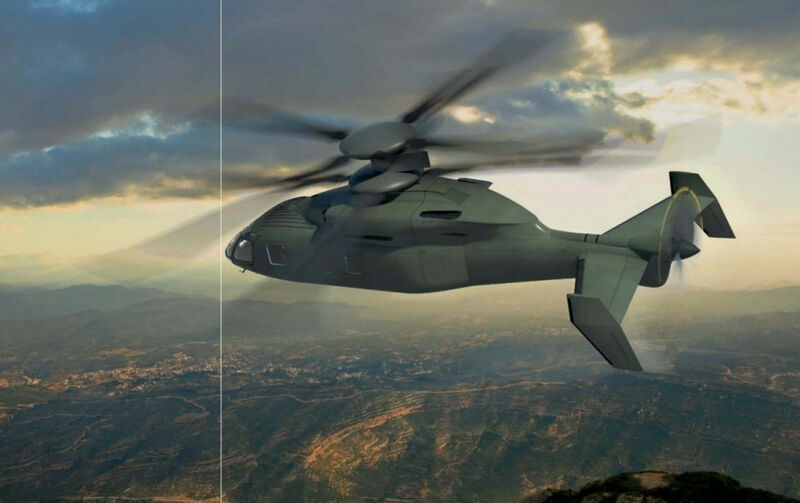 A partnership between Boeing and Sikorsky is offering the SB>1 Defiant for the JMR technology and demonstrator programme. 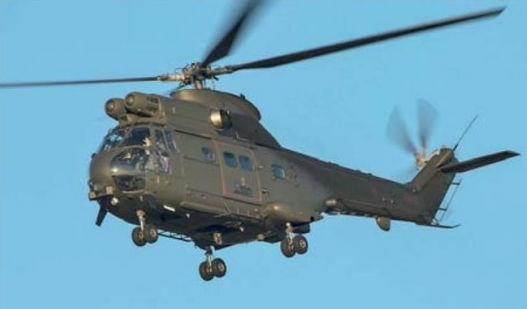 Algerian Naval Force Super Lynx 300 (Mk 140) ZK191 during a pre-delivery test flight near the factory in Yeovil, Somerset. 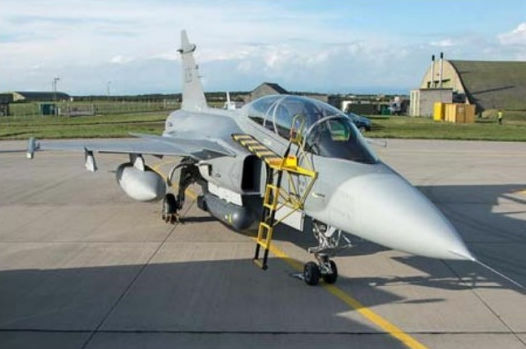 OGMA Industria Aeronautics de Portugal manufactures the sponsons and doors of the main landing gear, which is designed by another Portuguese company, Empresa de Engengaria. 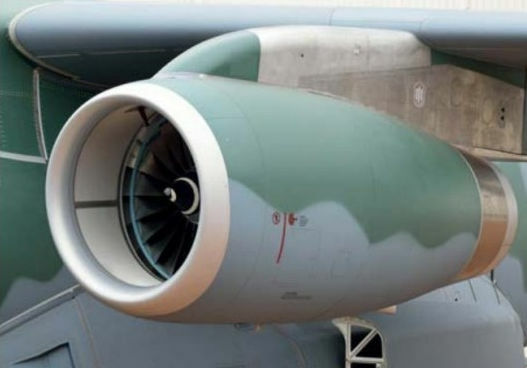 The KC-390 is powered by two International Aero Engines V2500-E5s, as used by the A320. 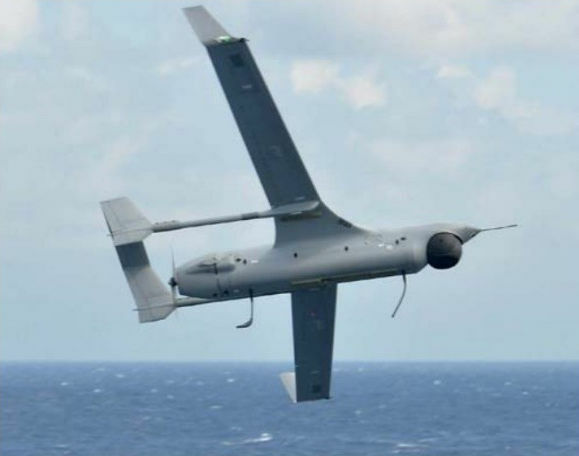 They feature minor FADEC modifications for specific military tasks. 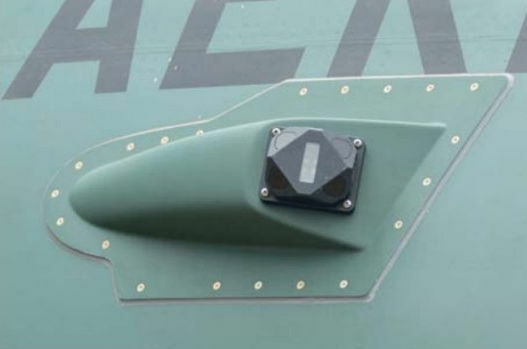 AEL Sistemas, a Brazilian subsidiary of Elbit Systems, makes the mission computer, head-up displays and self-protection system including missile warning receivers. 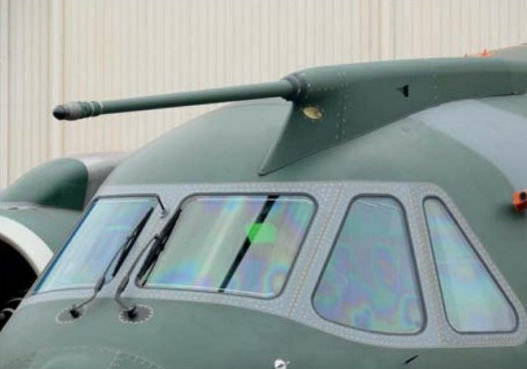 Cobham Mission Equipment supply the KC-390’s air refuelling probe, auxiliary fuselage fuel tanks and wing-mounted refuelling pods. 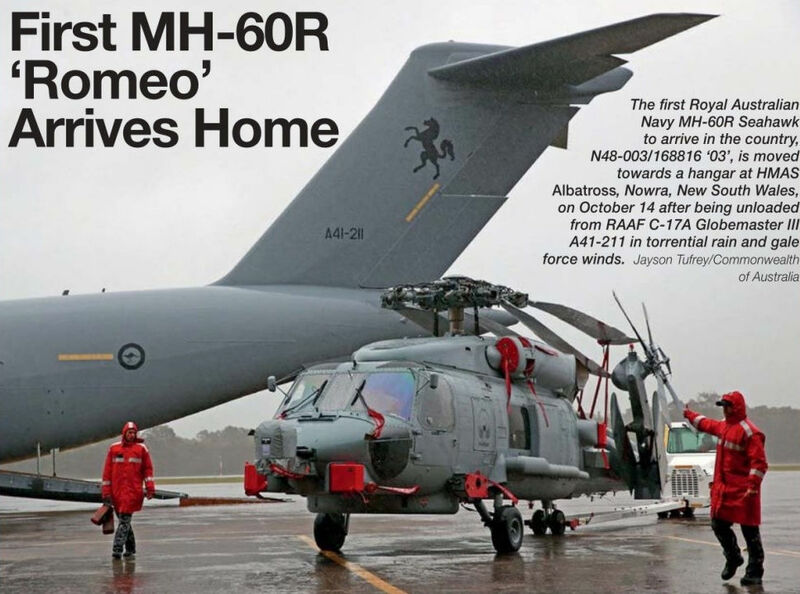 The probe is positioned immediately above the flight deck for safety and ease of engagement. 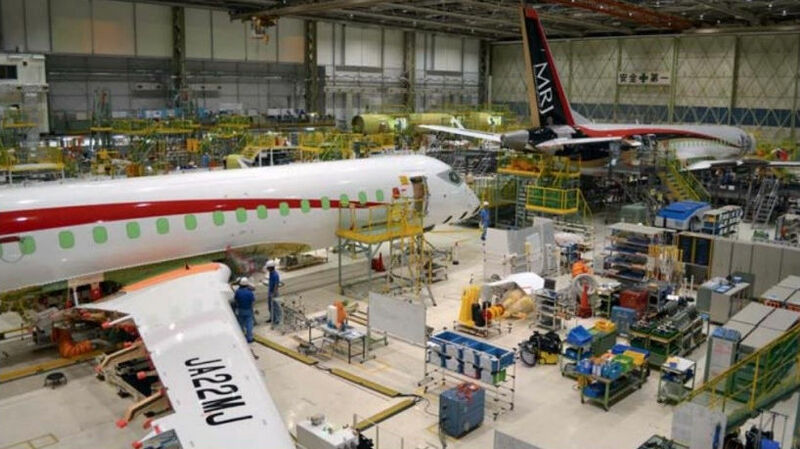 Winglets and new FJ44 engines are set to increase the Beechjet 400A's range by 33%. 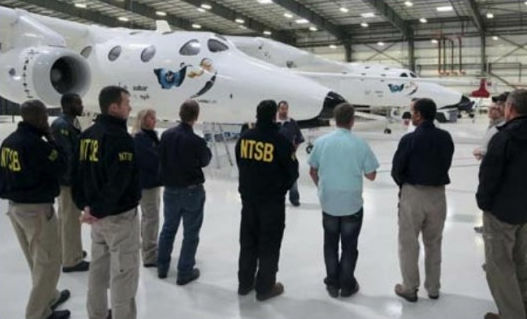 NTSB investigators observing the WhiteKnightTwo launch aircraft during their investigations. 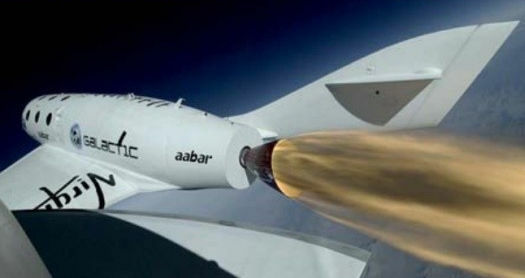 SpaceShipTwo on a rocket-powered supersonic test flight. 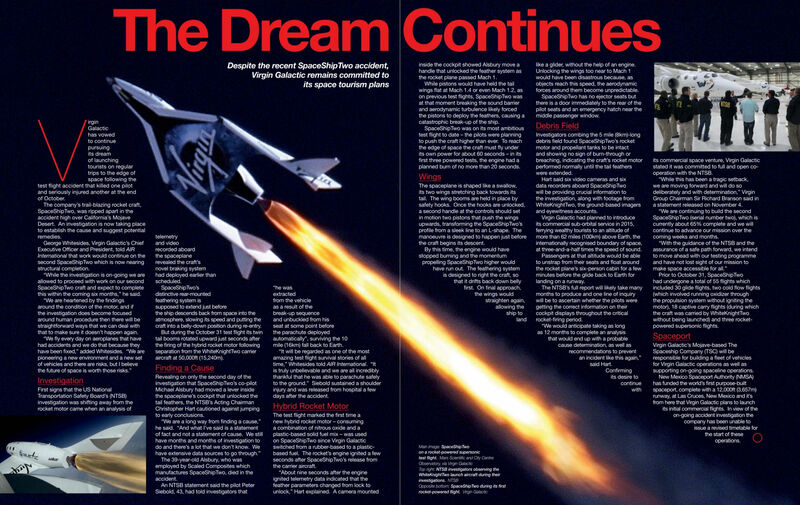 SpaceShipTwo during its first rocket-powered flight. Cypriot National Guard Air Wing AW139 703 (c/n 31367) from 460 Mira Erevnas Diasosis (460 Search and Rescue Squadron) about to be loaded with a simulated casualty on the USS Gunston Hall (LSD 44) on October 7, 2014 during the bilateral search and rescue (SAR) exercise between Cyprus and the US. Also flying from the US ship as part of the exercise was Cypriot Police Aviation Unit AW139 CP-8 (c/n 31325). 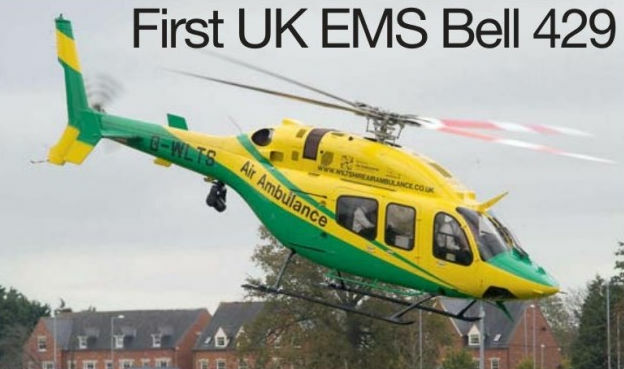 The Wiltshire Air Ambulance’s new Bell 429 (G-WLTS, c/n 57191) is the first EMS-configured example of the type in the UK. Seen at the service’s Devizes HQ on October 27, 2014, it will enter service in January 2015. 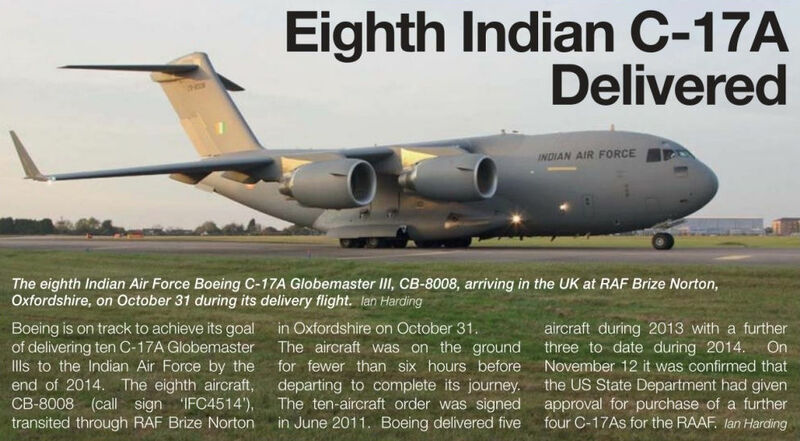 The Indian Navy’s next Boeing P-8A Neptune IN327 (N782DS) (c/n 40617), the eighth example for the service, made its first flight on November 4, 2014. It is seen here at Boeing Field, Seattle, shortly after touchdown. MD-11 PH-KCE at Amsterdam Schiphol on October 26, 2014 after its last revenue service. 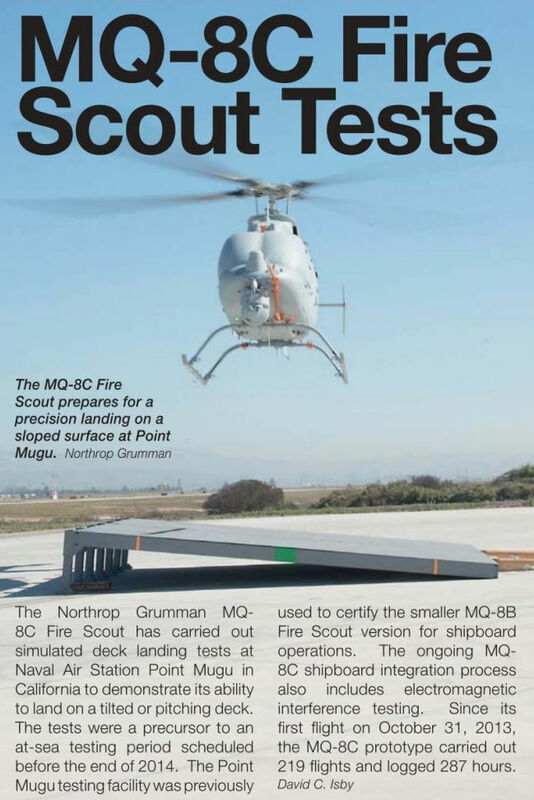 The MQ-8C Fire Scout prepares for a precision landing on a sloped surface at Point Mugu. Ilyushin Il-76MD-90A military heavy transport aircraft, 78651 (c/n 01-03), made its first flight at the Aviastar facility at Ulyanovsk on October 3, 2014. 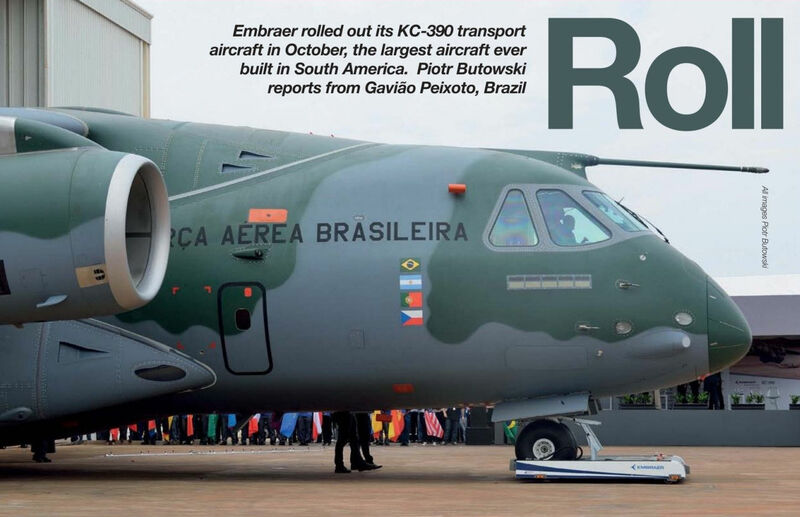 On November 13, it was handed over to Beriev for conversion into the new A-100 AEW&C aircraft prototype. 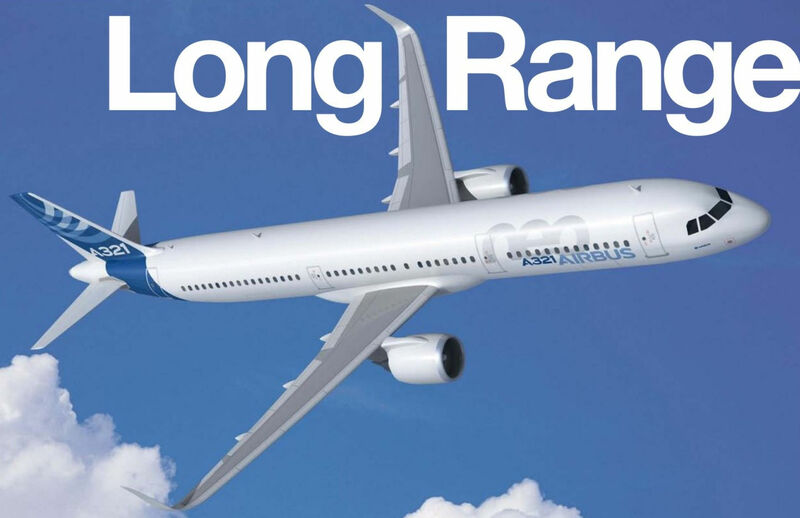 The long-range A321neo will be delivered in 2018. A total of 57 RQ-21A Blackjack systems are due to be acquired for the US Marine Corps and US Navy. 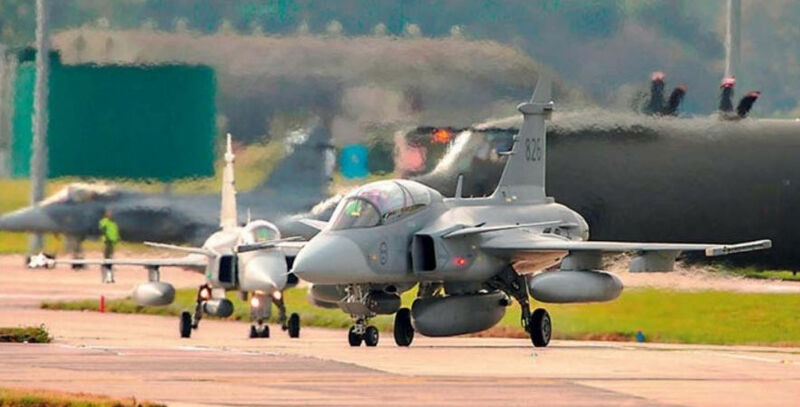 The Swedish Air Force sent six JAS 39 Gripens; four single-seat ‘Cs and a pair of two-seat ‘Ds. The first Bell 505 Jet Ranger X prototype, C-FTVI (c/n 65002), making its first flight from the company's Mirabel, Quebec facility in Canada on November 10, 2014. The first Boeing 737-8AL(WL) for the new Eastern Air Lines (N276EA, c/n 35070, formerly with Kenya Airways as 5Y-KYB), at Shannon Airport shortly after repainting. 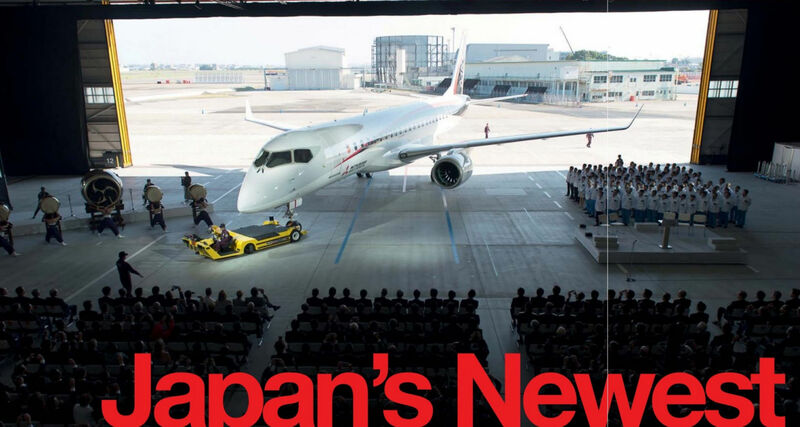 It is one of ten 737-800s that will be used by the company. 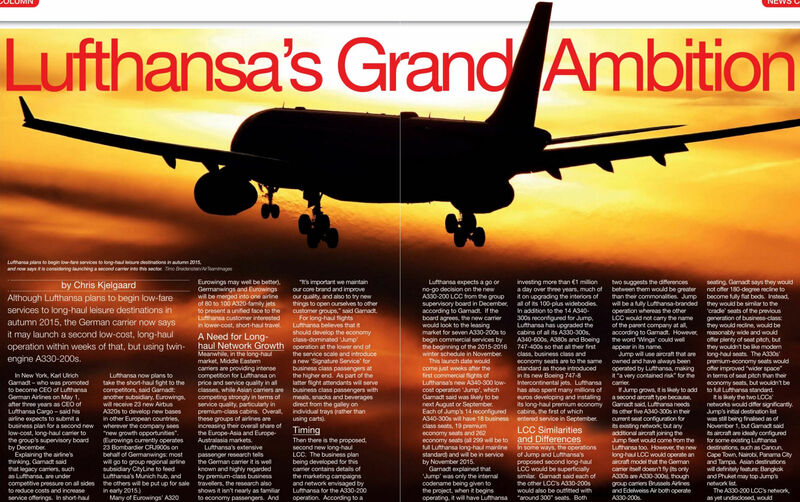 The new Eastern has been set up by a group of airline managers who in 2011 acquired the intellectual property of Eastern Air Lines, which ceased operations in 1991. The first Falcon 5X is due to fly in the second quarter of 2015. 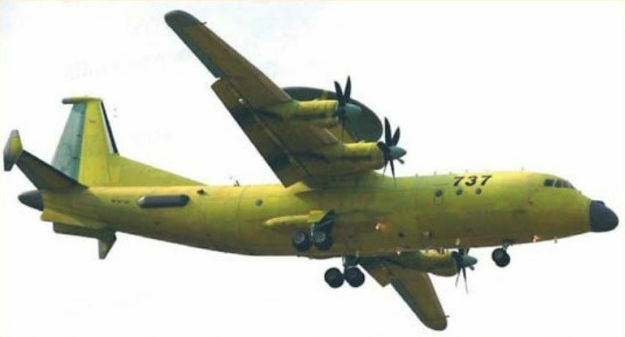 The first clear photograph to emerge of one of the two KJ-500 prototypes, serial number ‘737’, on final approach to the CFTE base at Xi’an-Yanliang. 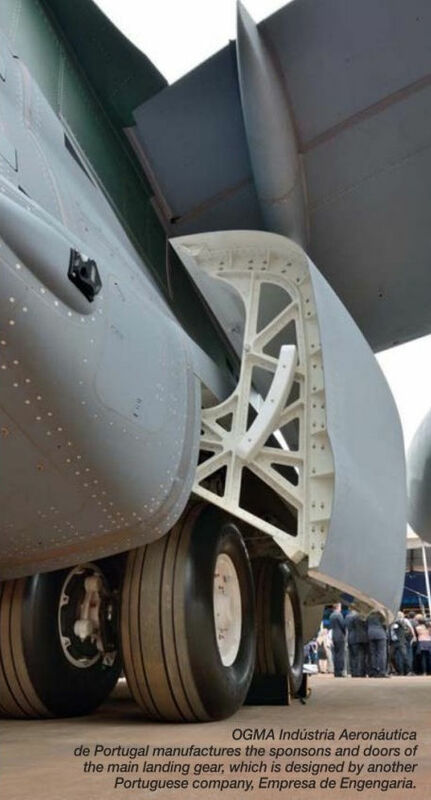 The type is a next-generation medium-sized AWACS that is scheduled to enter service with the PLAAF.